Le Mystère De La Tombe De Senmout. This is the second most important message sent by the architect of the pyramid, it is in the pure symbolism, in order to transmit to us several information, so did not try to find there a diabolical precision, this one was reserved by the architect for the first message, where we reached perfection, as you will see in the new article. But if we retroactively put all this in perspective, then this apparent inaccuracy (99.87% anyway ...), turns out to be on the contrary, an extraordinary feat and a challenge to the human intelligence. The result of my research I want to share with you. Many wonder why persit with the Egyptian cubits? Because we think that behind the Egyptian cubits, hide symbols and universal mathematical relationships. A brief digression to understand how I discovered that there were four cubits with excerpts from Discussion Forum with Egyptologists. answer to make; putting the coast at the moment and observe the other three ... "
"Tell me honestly what is the practical significance for the Egyptians to have four cubits? This is nonsense and a source of complication in everyday life. 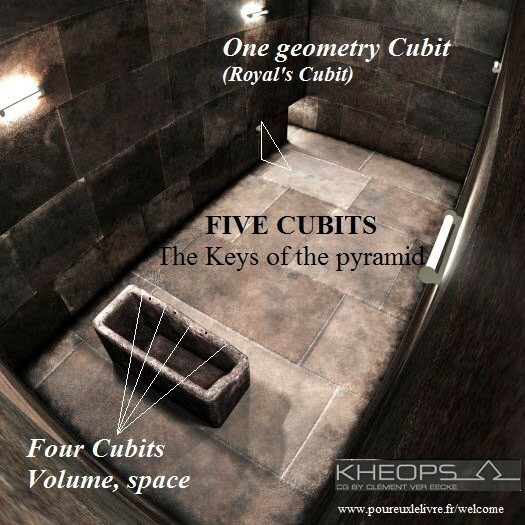 My hypothesis is that these cubits actually have a hidden meaning. " I read and my first primary human reflex is to seek a bug. Then I started thinking (yes it happens me 😉 ). And I feel that with the cubit, is exactly the same. and if there was not a cubit, but only mathematical ratios? Every Cubit is a mathematical relationship (0.5236=Pi/6) would be a certain way as a filter that would give each information. 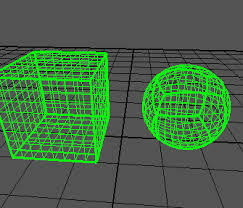 So instead of fighting with our cubits, unite us ... "
"Royal Cubit, sacred Cubit, Cubit Remen, Small Angled, each connected to a mathematical report and explains everything ..."
The sum of all root exponent equals 100. "Someone on this forum is there a breakdown of building blocks of the room?" To be honest, one block from the intermediate passage between the bedroom harrows and extends slightly king bedroom on the east wall of the latter, bringing the number of blocks to about 99.2." 99.2... 0.2 block? or there is a block or no block, is it some kind of joke ! And with this detail I understood that Royal Cubit (0.5236 ) had a function. First of values ​​and symbolic meanings through a video and a photo for those who do not know the formula. 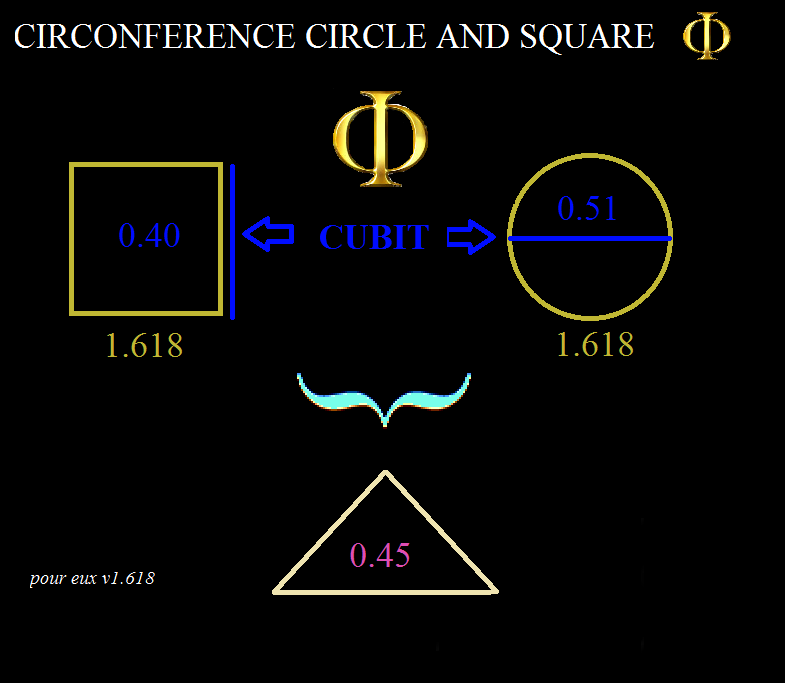 The Cubits are linked with the Golden ratio 1.618 and the three basic geometrical figures. 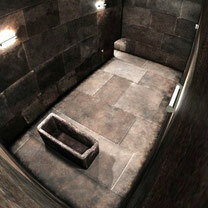 It is the official Cubit, it is the starting point in the plan of the builders. Used in all its accuracy, it symbolizes mathematics, geometry, the language used. For practical reasons I retain Cubit term even if it is not proven archaeologically other three. It symbolizes the circle and the Sun. 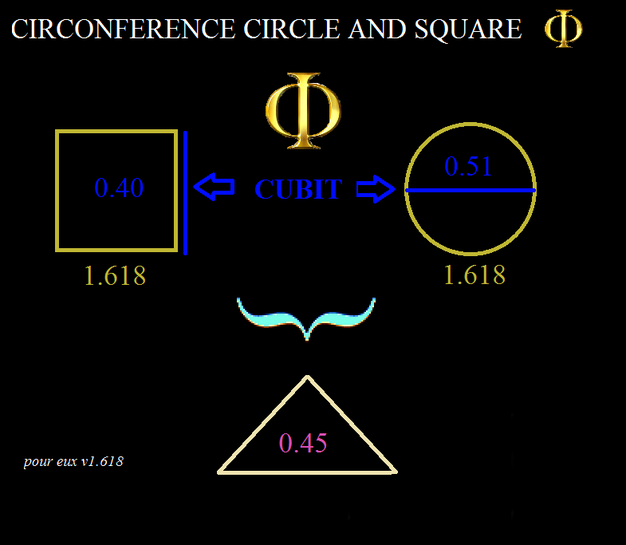 It quite simply, "marry" the circle and the square to get a new cubit, that of the triangle. It symbolizes the triangle, pyramid, The Earth. 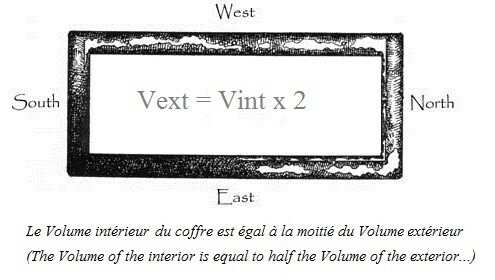 Before starting and for those who do not understand why associate mathematical relations with the metric unit, you should know that the meter is a creation of the builders of the pyramid, which was then establish by Freemasons giving the definition of being a quarter of a meridian (thus circle 4...) to scale 1/10.000.000eme, more info here. Each pyramid is associated with a Cubit of its own, with the exception of the pyramid of Cheops which is the mistress pyramid, the mother of all the pyramid and it is what allow us to understand the plan of the Builders . The pyramid of Cheops, symbolizes, but not only, the three geometric figures bases: square, circle and triangle exactly like the three cubits. In this article I will go to the essential , you will find the complete decoding of the dimension here, here and here. I will explain the similarities and "coincidences" in the form of drawings and symbols. 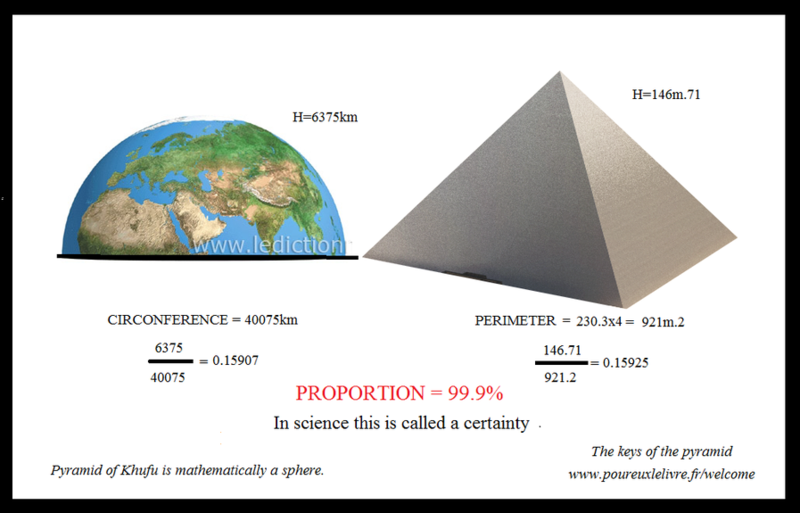 The first picture speaks for itself, it explains that the pyramid is mathematically any sphere. 40075 Km Earth circumference by the equator, 40007 Km by the poles. 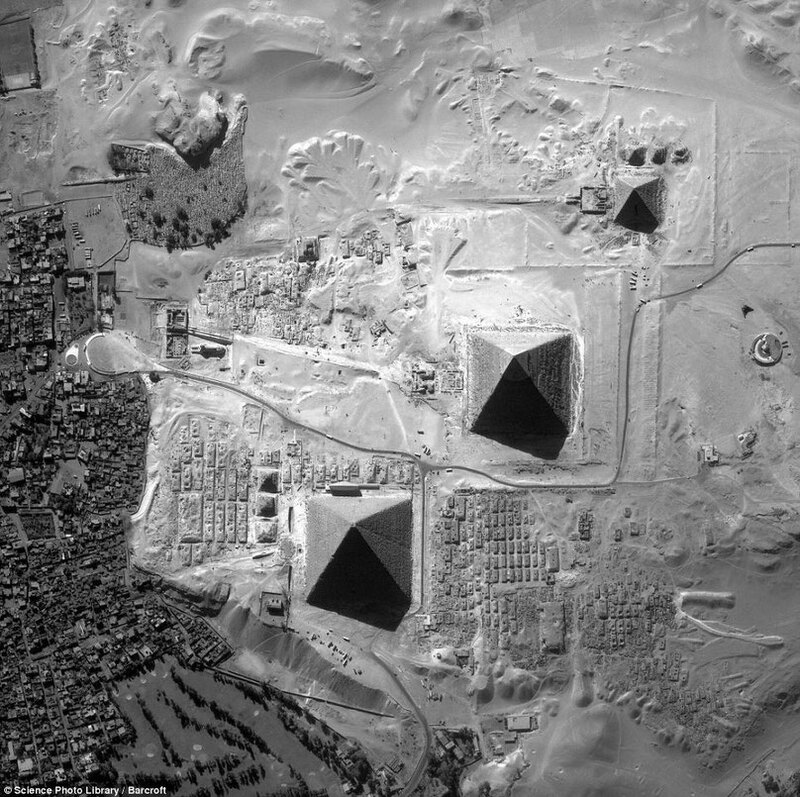 The latest archaeological dimensions of the pyramid are used. The following shows that this sphere is Earth. Three cubits will act here as three keys on the pyramid of Khufu and reveal the plan of the builders. Here are the bent double digit after the decimal point. 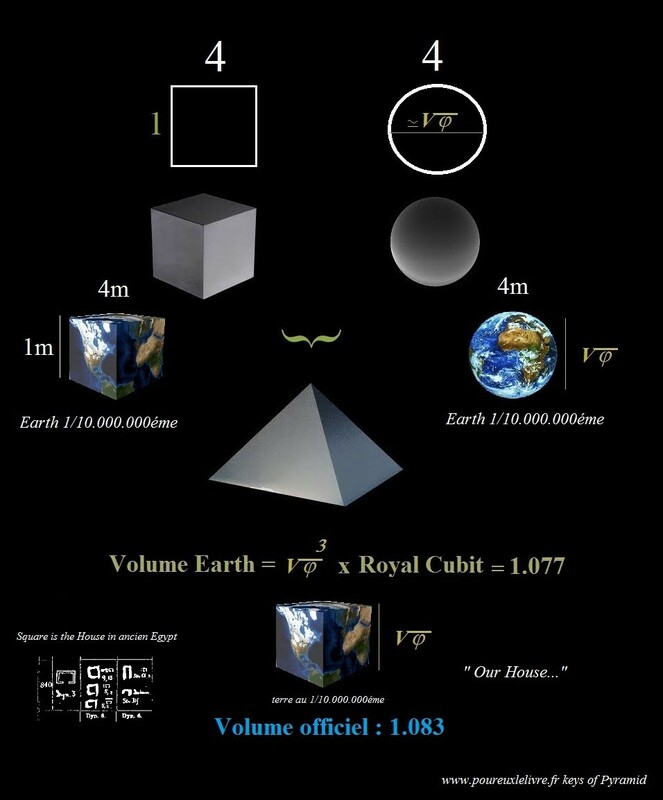 The code 450 + 1 is explained in the article "LANGUAGE OF BUILDERS"
On my previous sketches I bent my Moon cubit intervene directly on one side of the pyramid but I've realized that taking blow after one side of the pyramid that fell on the moon size, because it is 1/4 of the earth! 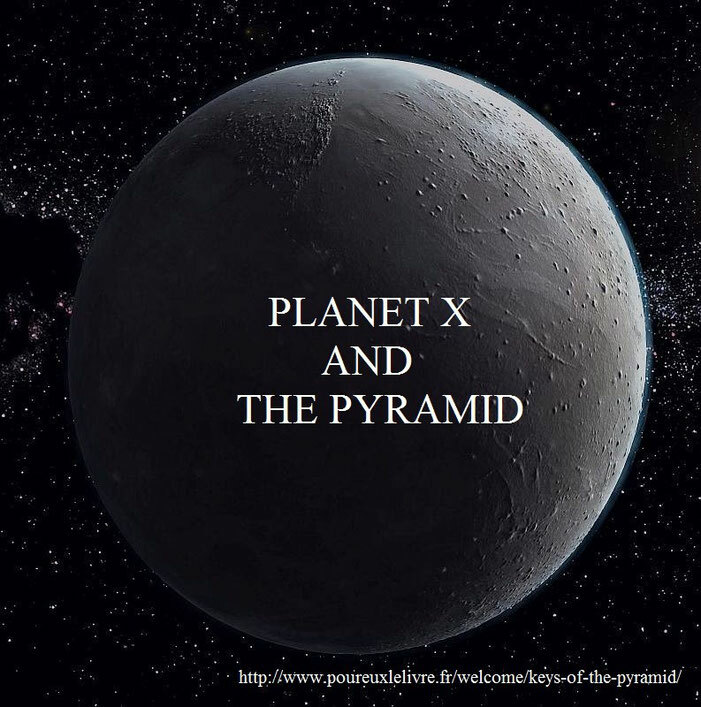 When I discovered that the Pyramid symbolized the Earth during the writing of my book, I had enjoyed making comparisons between the two pyramid and the other planets, but I did not find any similarity. I have always had a strange intuition that Mykérinos (smaller) can be the moon, then I redid my calculations with GOOD KEY, Moon cubit. some logical view it over "4000 years" and above it the smallest and therefore more fragile. I use that of Wikipedia (fr) is a good intermediate. 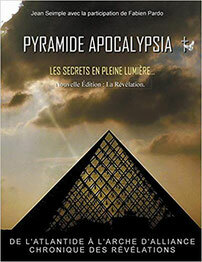 "The base of the pyramid is an almost regular square 104.6 meters on each side. 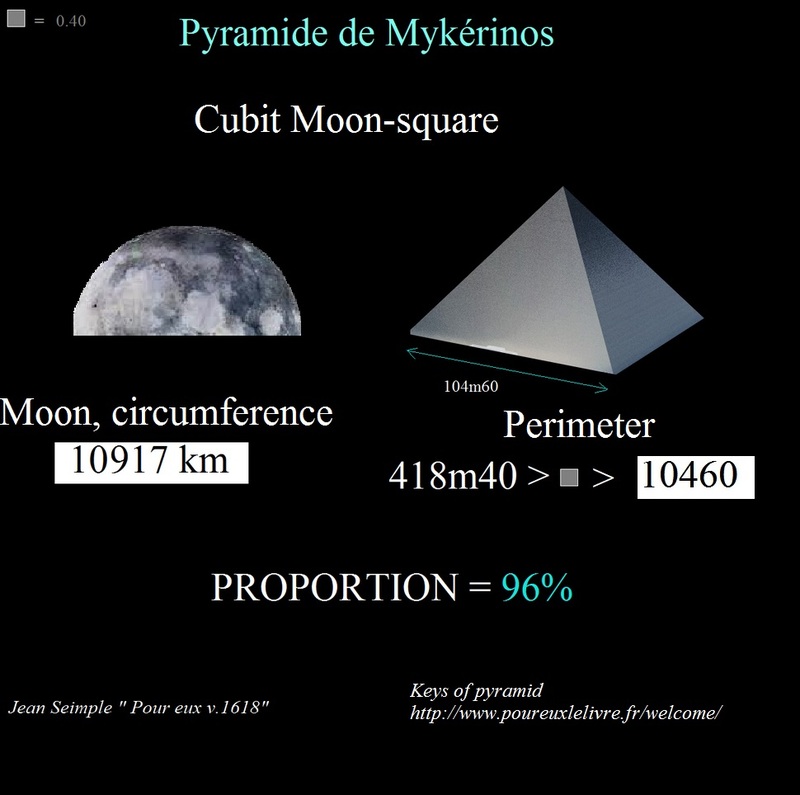 The faces of the tilt angle here is 51 ° 20 'with rising initially monument nearly 65 meters high"
If the Pyramid of Mykhérinos symbolizes the moon, what is the Pyramid of Khafre between Earth and the Moon? This is Planet is an ANOMALY. I never believed in this theory. Yet it solves the idea of ​​warning and thus a mandatory cyclical. I do not fit into the subject more as there's info on the web. What follows is you will see quite pleasant and it's the kind of enigma that I appreciate solve. In their comprehensive plan, the builders of wear out all their energy and intelligence to provide us with information. 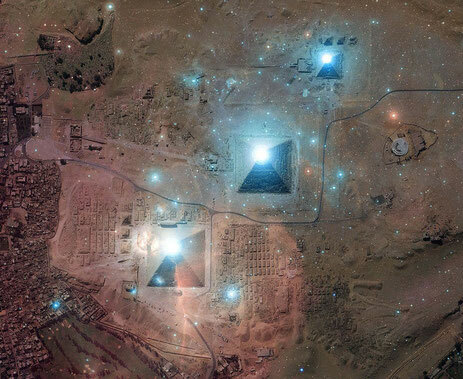 So if we follow the reasoning we should be able to have information on this pyramid and therefore on this planet. As I become familiar with the method of calculating it will be very fast. Yes, but what cubit use, Earth, Moon, Sun? So ... I miss a cubit; a fifth Cubit ? Take 2 minutes to find it. These small holes had always intrigued me and I knew in my heart that they had a purpose. why then, the builders they placed only on one side? These are not holes for a locking system but the symbolization of four standards and therefore four cubit. I have in my possession three stars cubits (Moon, Earth and Sun) the fourth is the Cubit X. Now that we have the fifth stallion and we have the dimensions of the pyramid we can calculate its size. There are many subtleties and pitfalls to avoid. I actually the correct size because I followed my thoughts instead of following the logic. 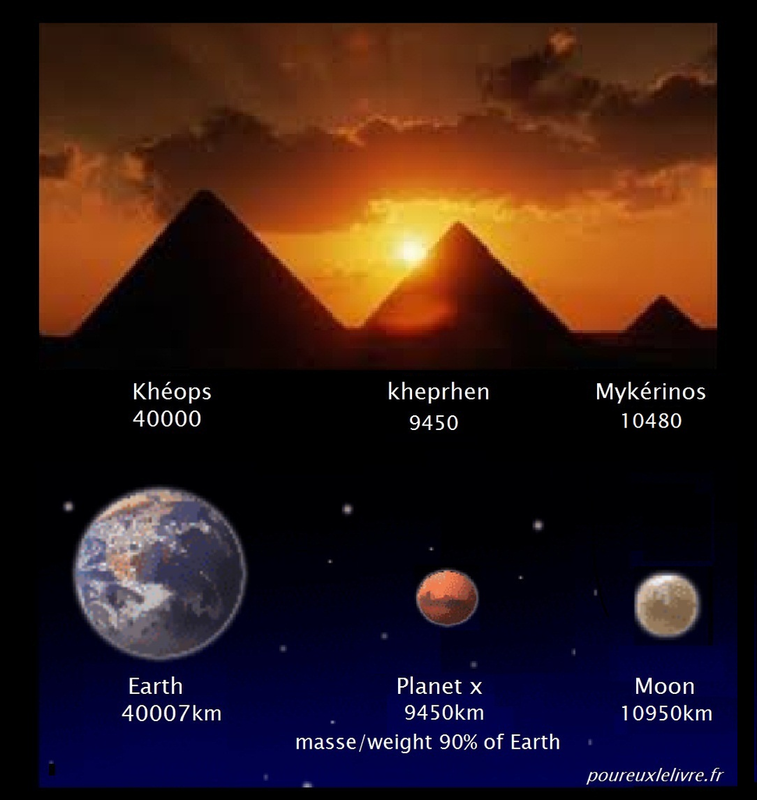 I got 9450 km at the beginning but I thought it was a mistake because the Khafre pyramid should have been smaller than Mykérinos. 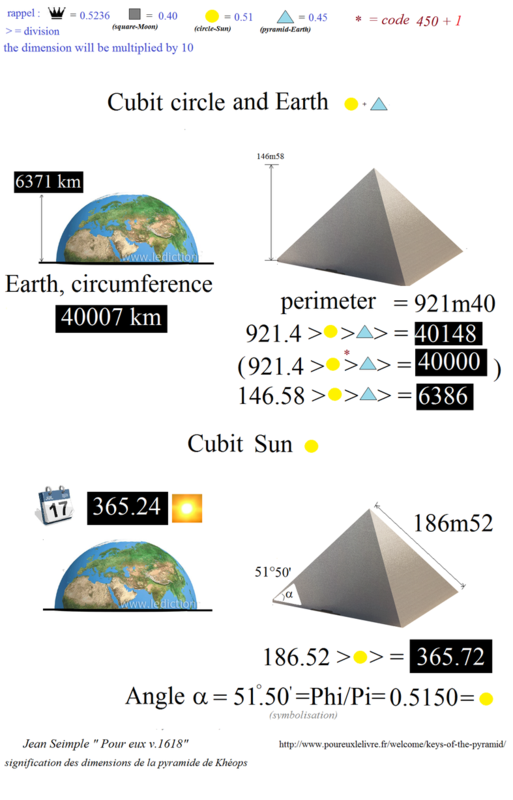 I modified the calculation using the royal cubit to find a dimension to roughly similar to the pyramid (43000km) but I was following no more logical flow and thus betrayed consistency. It is almost as massive as Earth with the size of the Moon. 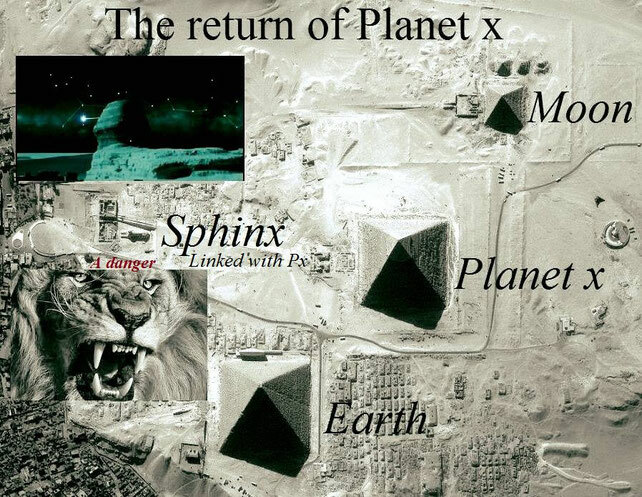 See Appendix Planet x and my last truth. 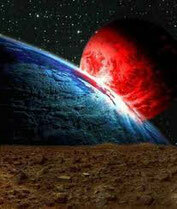 I create a schedule part- Planet x- after this article to gather additional information. 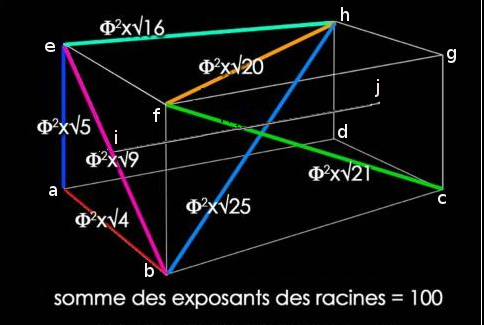 This is a decoding based on a consensus of the dimensions of the pyramids by official archaeologists. if the source is mentioned. If you want to suggest a better translation or make a video on the subject, you can contact me in the contact section. Fnac... Délai de 4 à 8 jours si rupture de stock.
" La vérité est un bateau...l'intelligence est son gouvernail...l'absence de préjugés, le partage, l'écoute, la critique, sont les quatre vents qui soufflent sur ses voiles..."
"Truth is a ship ... intelligence is its rudder ... the absence of prejudices, sharing, listening, criticism are the four winds that blow on its sails ..."